I enjoy stories of entrepreneurs who follow a passion and start a business. I am also a fan of specialty candy stores and wrote about one of my favorite stores Harbor Candy in Ogunquit, Maine earlier in the year. I discovered Sugarfina in a story about the 100 Most Creative People in Business in 2013 on fastcompany.com. I was intrigued so I decided to dig a little deeper into the story behind their success. 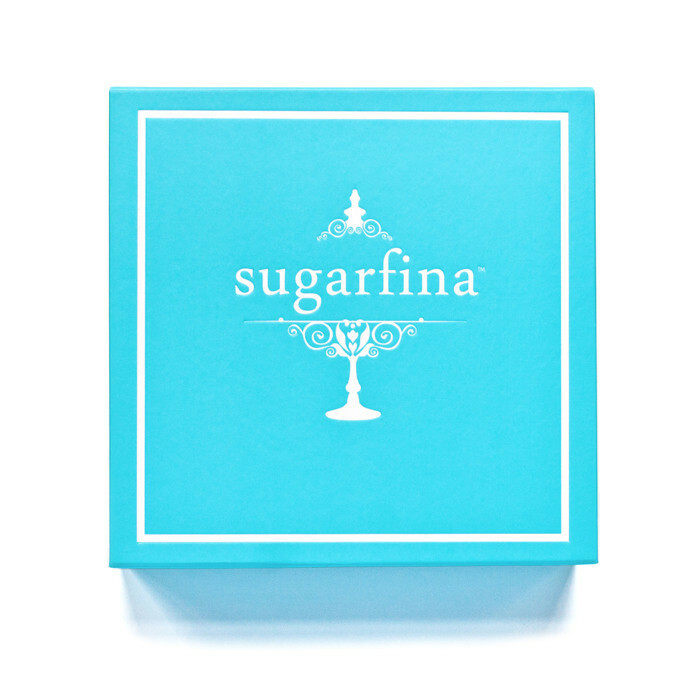 Sugarfina is an online luxury candy boutique that offers a selection of the finest candies from around the world. Sugarfina is designed for adults not kids. Sugarfina is attempting to reinvent the candy category by targeting “foodies”. They offer the highest quality candy with an emphasis on premium all-natural ingredients. Sugarfina was founded in 2012 by Rosie O’Neill and Josh Resnick who dreamed of opening a candy boutique ever since their third date. That night they attended a screening of the movie Willy Wonka and the Chocolate Factory. Sugarfina’s gourmet candy collection is unique. They offer exotic candies such as Champagne Gummy Bears, Matcha Green Tea Caramel, Licorice Cubes and Dark Chocolate Coffee Toffee. They offer more than 140 different candies. Sugarfina’s candies are sourced globally from artisan producers in the United States, France, Belgium, Germany, Holland, Denmark, Sweden and beyond. Many of the products that Sugarfina sells are exclusive to them in the United States. One of things that differentiates Sugarfina is design. Each candy is packaged individually in transparent cubes and neatly packed into bento boxes inspired by Tiffany. 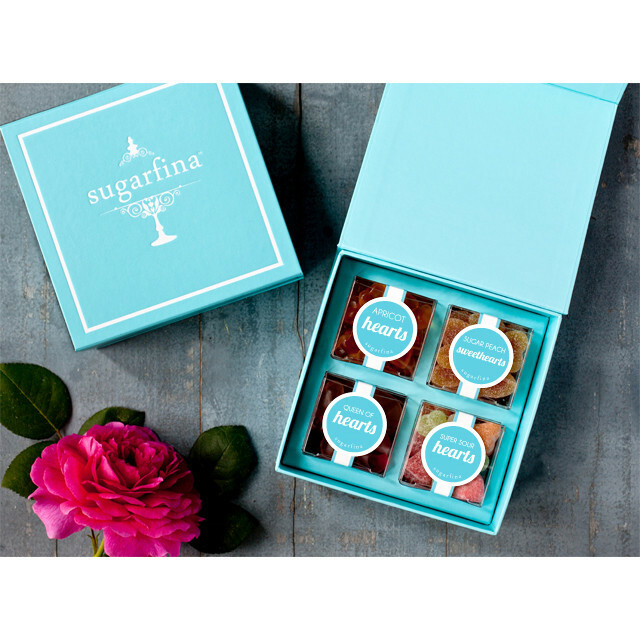 Sugarfina has been described as a “pleasure” as opposed to a “guilty” pleasure. The candies contain ingredients that are good and good for you. These ingredients include nuts, green tea, all kinds of fruit, high cacao chocolate and coffee beans. Sugarfina has received a lot of positive press. Sugarfina made the “O List” Food Edition in Oprah Winfrey Magazine in August. Sugarfina has also been featured in a number of magazines including InStyle, Martha Stewart Weddings, Brides, Forbes and Travel and Leisure to name a few. In January, Sugarfina became the first candy partner on Facebook’s gift platform. Revenues are expected to top $1 million in 2013. Have you tried Sugarfina premium candies? Herman Miller is one of the most respected brands and innovative design companies in the world. Herman Miller seamlessly integrates design into the essence of their brand. At Herman Miller design matters. In fact, its design or die. For Herman Miller, Brand Design is not an after thought in the process– it is the central thought. Herman Miller is an iconic furniture maker, responsible for a suite of cutting-edge products designed to improve the office work environment. Herman Miller was founded in 1923 in Zeeland, Michigan by D.J. De Pree and Herman Miller. By the middle of the 20th century, the name Herman Miller had become synonymous with “modern” furniture. Working with legendary designers George Nelson and Charles and Ray Eames, the company produced pieces that would become classics of industrial design. George Nelson is responsible for creating a design philosophy at Herman Miller that lives today. Nelson believed that good design is honest, an integral part of business, and that a market exists for it. Herman Miller has collaborated with some of the top designers in the world, including Alexander Girard, Isamu Noguchi, Robert Propst, Bill Stumpf, Don Chadwick, Ayse Birsel, Studio 7.5, Yves Béhar and Doug Ball. Herman Miller’s mission is to strive to create a better world around you—with inspiring designs and inventive services that enhance the places where people work, heal, learn and live, and through its commitment to social responsibility. Their goal is to design a better world around you. The Herman Miller approach is to focus on problem solving design. They learn as much from their failures as their successes. 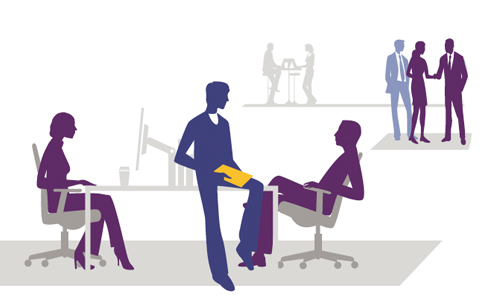 While it’s known for its furniture, Herman Miller considers itself a set of problem solvers. When a new product is considered, it is common for employees from all areas of the company to collaborate on creating design and production solutions. In this way, employees become personally connected to the company’s products. Inclusiveness – we respect all expressions of human talent and potential. We value the unique perspectives, qualities, and contributions of every person in our community. Design – our method for solving problems. It involves asking, looking, thinking, daydreaming, discussing, tinkering, failing, and trying again. It’s messy, but it works. Performance – Not a choice. We perform at the highest level of our individual and collective capabilities, every day. Transparency – We let each other see how decisions get made. We take responsibility for the decisions we make. A Better World – The opportunity to contribute to a better world makes our work meaningful and rewarding. This focus on employee engagement has resulted in Herman Miller being recognized for a number of awards. In 2010, Herman Miller was one of only six companies to make Fortune’s list of “100 Best Companies to Work For”, Fortune’s Most Admired list and Fast Company’s “Fast 50” most innovative companies. Herman Miller seems like a great brand and company to work for. 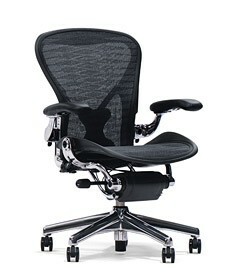 The Aeron chair is one of Herman Miller’s most popular products. It was designed in 1994 by Don Chadwick and Bill Stumpf. Its design has a spot in the Museum of Modern Art’s permanent collection. The Industrial Designers Society of America named it one of the “Designs of the Decade for the 1990’s. The Aeron chair was very popular during the dotcom heyday in the late 1990’s and early 2000’s. Internet companies ordered them by the truckload. In late 2000, the company was taking order for 20,000 to 30,000 per week. In the early 2000’s, Herman Miller saw sales decline following the dot-com bubble. The company turned its fortunes around by focusing on innovative brand design that helped solve consumer problems. Do you own any Herman Miller furniture? One of my favorite all time brands is Nike. I have worn their shoes and apparel for years. I am a big fan of the “Just Do It” tagline and their innovative advertising campaigns. Nike’s message has always inspired me. Nike has never been afraid of controversy or taking an unpopular position on sports issues. They have made some mistakes but they continue to learn and evolve as a company. Nike has a strong brand purpose, mission and culture that guides their actions. Their mission is to bring innovation and inspiration to every athlete in the world. Nike believes if you have a body you are an athlete. Last year Nike produced $24 Billion in revenue. This is up 60% since 2006. Nike is a huge company with 44,000 employees worldwide. This week Fast Company Magazine named Nike as the number one most innovative company of 2013. This is an honor that typically goes to the latest digital startup. 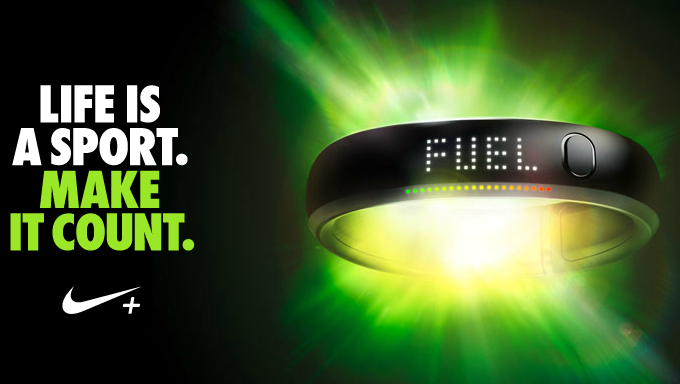 With launch of the Nike Fuel Band, the brand is transforming itself into a digital force. It is also evolving its model from a product company to a products, tech, data and services company. This is an amazing transformation. They are helping people rather than just selling them stuff. The Nike Fuel Band measures your everyday activity and turns it into Nike Fuel. It tracks calories burned, steps taken and more. You able to view your history. There is a social component which allows you to connect with friends. Nike is committed to helping people live more active lives. Their other major innovation is the Flyknit Racer, featherlight shoes that feel more like a sock atop a sole. The Flynite Racer is created from knit threading rather than multiple layers of fabric. The result is a shoe that’s more environmentally friendly and could reduce long-term production costs. “Flyknit is an innovation that could potentially change the athletic shoe category. Nike’s lesson to brand marketers is to think beyond selling products and figure out how you can provide a service that helps people in their lives. They understand that the digital and mobile world is about helping consumer’s get jobs done. In your opinion, who is the most innovative company in the United States? Stonyfield Farm is another great example of a brand that combines making money with doing the right thing. Stonyfield was started in Wilton, New Hampshire as an organic farming school that taught sustainable agricultural practices. Their original goal was to help family farms survive and to help protect the environment. In the beginning they sold yogurt to fund their school. Eventually they realized, that they could make a bigger difference as a successful yogurt company. In 1988, they moved to Londonderry, New Hampshire where they are headquartered today. Stonyfield Farm revenue exceeds $300 Million annually. They are a driving force in the sustainable food movement. Fast Company ranked them as the third most innovative food company of 2013 for making its supply chain more sustainable and profitable. Healthy food. We will craft and offer the most delicious and nourishing organic yogurt and dairy products. I discovered Stonyfield Farm yogurt several years ago in a Wegmans store. I have enjoyed their products ever since. Through its Profit for the Planet Program, Stonyfield has donated over $15 million to sustainable causes. What other brands can you think of the combine making money with doing the right thing for thing?